Well, here’s news that’s going to annoy a few people, especially some of those who recently bought the Sun Zoom Spark package. 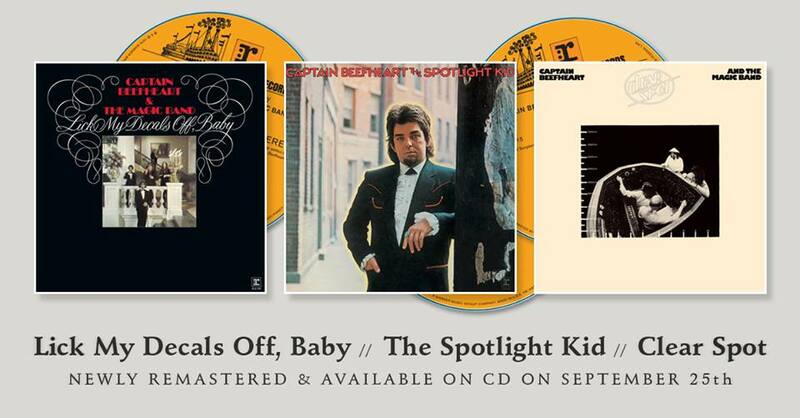 Rhino Records are now releasing the ‘remastered’ versions of Lick My Decals Off Baby, The Spotlight Kid, and Clear Spot as separate CD albums. No news on vinyl versions as yet. Release date is 25 September 2015 and the albums are already on pre-order at Amazon.